The thing that I love the most about home made granola is that you can add almost anything imaginable to it that you love. You can make it gluten free, you can make it nut free, you can make it sweet, you can make it savory, you can make it ANYTHING you want. That to me is exciting. Did I mention you can make it so that there are extra amounts of those large clumps that are crunchy and always extra delicious? Yeah, that is my absolute favorite part of making it at home. Extra big clumps = extra smiles. So I made some granola the other day, just with what I had on hand… Gluten free oats, pecans, cinnamon, honey and a touch of brown sugar. Nothing really fancy, but it turned out so good! I wanted to share it on here so that any of you at home can make it using whatever your favorite ingredients are. This would be so good with some flakes of unsweetened coconut or some raisins. Don’t be shocked by how easy it is…. In a large bowl add your oats, nuts, salt, and cinnamon (other spices). Heat honey slightly in microwave for 5-10 seconds just until it thins, then add in brown sugar and pour over oat and nut mixture, stir to coat. Beat your egg until it has soft peaks and gently fold into the nut and oat mixture. This is what makes the big clumps, so do not over mix it! Gently distribute onto a foil lined baking sheet and bake for 10 minutes, gently stir and then bake for another 10-12 minutes. Allow to completely cool and then store in an airtight container for up to 3 weeks. 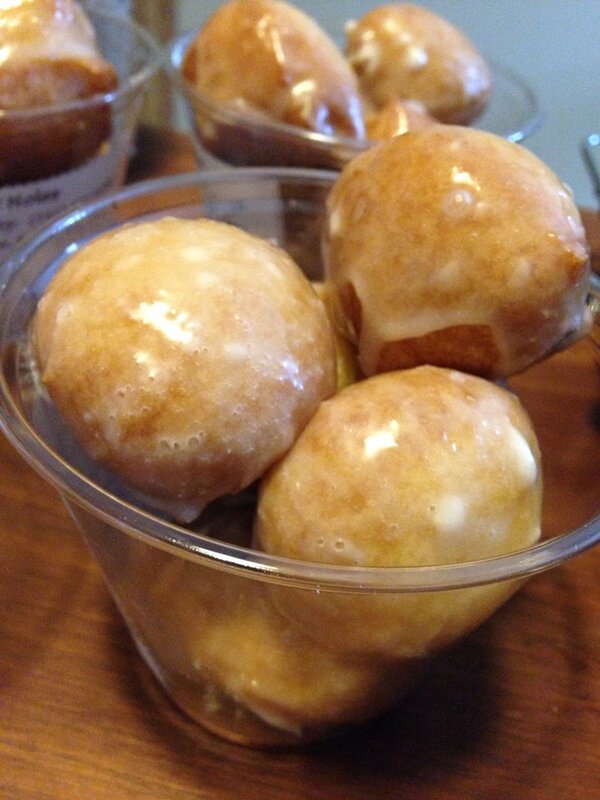 This weekend i sold at the farmers market and decided to make some incredible little doughnut holes. Because so many people are going gluten free I decided to make mine with gluten free flour, but you could easily use regular flour and it would turn out the same; all about preference there. These little guys are so cute, extremely easy to make and super easy to eat. I made two batches of batter, fried, glazed and packaged for sale all in less than an hour.. 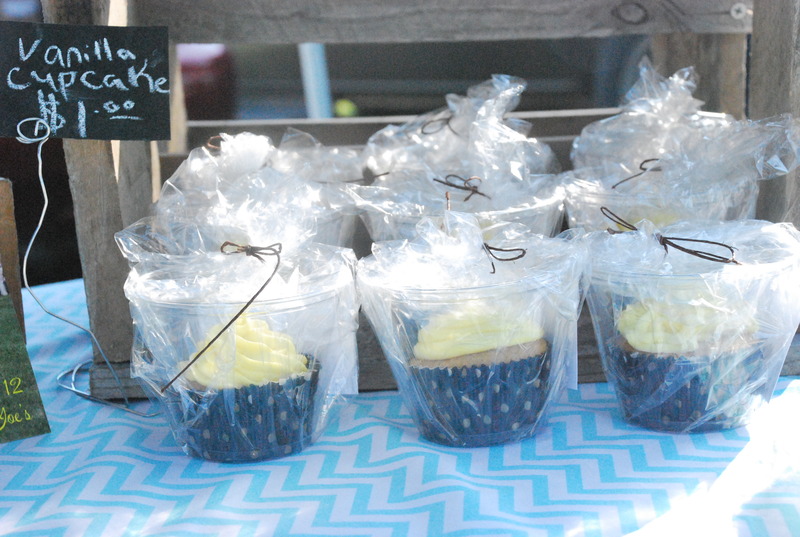 They would be a great school morning treat for those who have kids! There is not anything really special you need to make these, but two items can make it much easier. A candy thermometer that clips to the side of the pot you are using for frying helps you regulate the oil at the right temperature and keeps the little donuts cooking evenly and quickly, a cookie scoop makes scooping the dough in uniform size and nice round shape quick and easy (I have a scoop like This and I really like it!). Neither of these are a necessity, but again it makes it really super easy, and to get both of these it wouldn’t cost you more than $15 depending on where you get them. In a deep pot add oil and clip on thermometer, make sure the thermometer does not touch the bottom of the pot, this produces inaccurate readings of temperatures. Turn on heat and heat to 375*. Set up a pan near your fryer with a couple layers of paper towels for draining the excess oil after frying. In a large bowl combine ingredients and whisk until smooth. When oil is up to temperature drop dough in using cookie scoop or using two teaspoons. Only put 4-5 in at a time, you don’t want to overcrowd them. Fry for 1-2 minutes until golden brown on all sides. Remove from oil with slotted spoon or small wire strainer, place on paper towels and allow to drain for several minutes before topping with chocolate sauce, vanilla glaze or powdered sugar. I have been busy the past month or so. Had my first ever trip to sell at the farmers market which was a huge success! With it came more work for the next one to try and get better organized and make it a less exhausting experience for myself. All i have to say is planning, planning, planning. The second trip to sell at the farmers market went much more smoothly than the first one, I am hoping that this trend will continue! Aside from baking stuff I also finished up this semester of school today, helped plan a surprise birthday party for one of my sisters, signed up for summer classes, computer trouble during final papers & exams (ugh!!) all while also working a “real” job. Maybe busy was an understatement, ha. The market so far has been a really wonderful experience. I have made so many new contacts with the local community. I have been able to book a couple of orders and have a few others potentially, which is always thrilling! I have ventured into the gluten free baking realm, which i must say has been enlightening and enjoyable as a better variety of people get to try my baked goodies. I have not quite mastered it yet, but the products I have tested were oatmeal cream pies and buckeye brownies (compliments of my mom). Both of which turned out really yummy, you would never be able to tell they were gluten free if I didn’t say so!